There are certain things that we all grow up with. They're always around, so usually, we don't tend to think about them much. We see them day in and day out, often they impact our lives in a dozen different ways, but we never notice them because they're so reliable that their very constancy gives us no reasons to. This is as true in home decorating as in any other aspect of life, and like any other aspect, it's true that if you ever stop to take a look at one of these things, you're almost always sure to find something wonderful. Given all of that, it's not hard to imagine why most of us don't know much about linen fabric. In fact, many of us likely don't even know what it is. It was once so popular of a fabric that even now, well past the age of cotton and well into the era of artificial materials, all laundry is often referred to as linens. And it was once so precious that it was the only material of choice for wrapping the bodies of mummies in Egypt – a fact which has contributed greatly to the preservation of these ancient treasures. Linen fabric is made from flax fibers. The flax plant has been cultivated in just about every country in the world and has been used to make fiber for over six thousand years. To extract the fibers, the plants are either cut or pulled by hand from the ground (it's said that pulling creates finer linen). The seeds are then removed through a process called winnowing or ripping, followed by retting which removes the plant stock from the fibers. Once the fibers are separated to collect the longest, which can be up to 20 cm long, they are spun into yarn and then woven into the fabric. The resulting linen fabric is two to three times stronger than cotton. Because of its porous nature, linen has natural heat and moisture-wicking properties that make it a good conductor of heat and a popular fabric to use for clothing or bedding in the summer. It also makes it possible for linen fabrics and accessories to hold dye colors better than some other fabrics. Linen is also naturally anti-bacterial, which had made it a popular choice for bandages for centuries and a favorite for window treatments and accessories such as accent pillows. Linen does have a few downsides as well. As a fabric, it has little elasticity so it can wrinkle quite a bit. 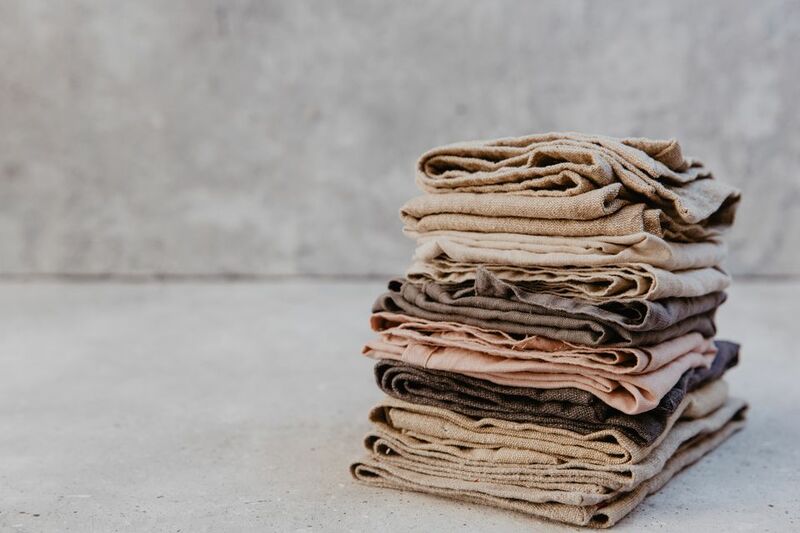 But despite this one drawback, linen remains every bit as popular and smart a choice for home decorating accessories as it was when it was first discovered all those centuries ago.